Assistance League of Salem-Keizer "Assistance League of Salem-Keizer is an all-volunteer nonprofit organization that puts caring and commitment into action for the benefit of children and adults through community-based philanthropic programs." 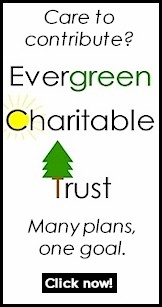 Evergreen Charitable Trust "Helping individuals and organizations create charitable endowment funds and creatively encouraging charitable giving." Salem Art Association "The mission of the Salem Art Association (SAA) is to actively engage the community in the appreciation of the arts through contemporary art exhibitions and events, arts education for youth and adults, and the preservation and interpretation of our shared cultural heritage." Salem Area Chamber of Commerce "To serve as your business and community advocate and work to keep Salem a great place where business can prosper and families can live, work, play, and shop." Willamette Heritage Center "The Willamette Heritage Center connects generations by preserving and interpreting the history of the Mid-Willamette Valley."